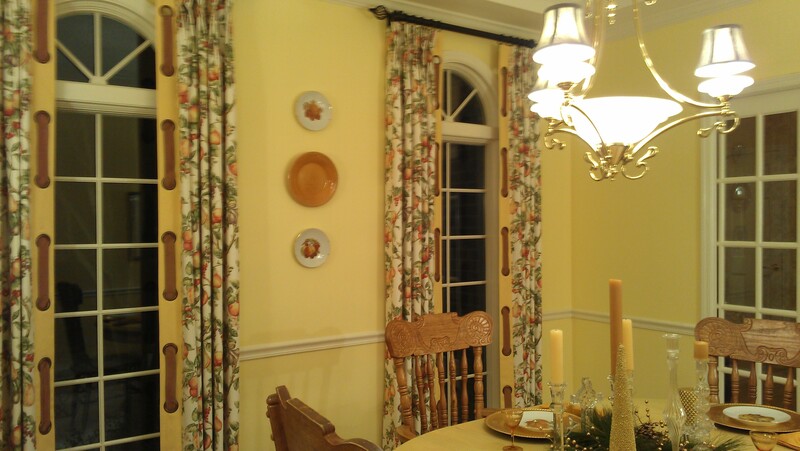 New draperies for a Plainfield home! 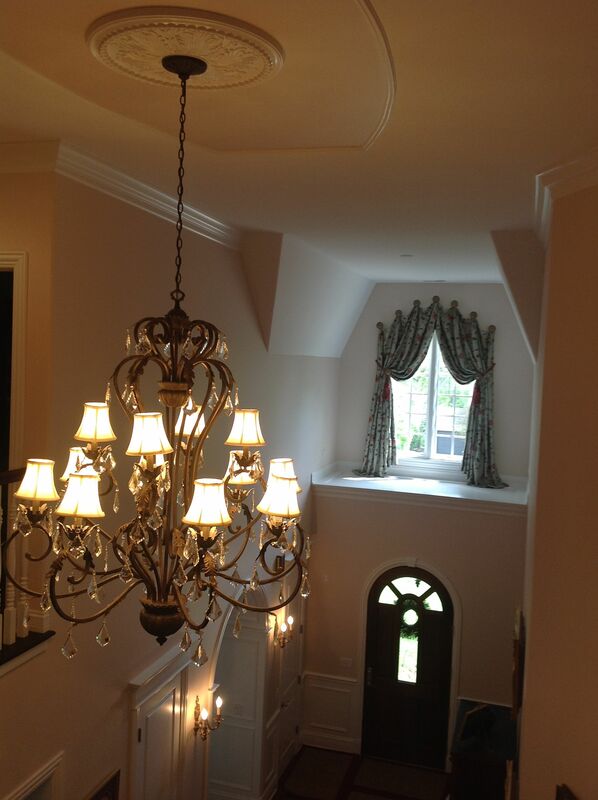 We just installed this gorgeous swag drapery treatment in a beautiful Plainfield home! 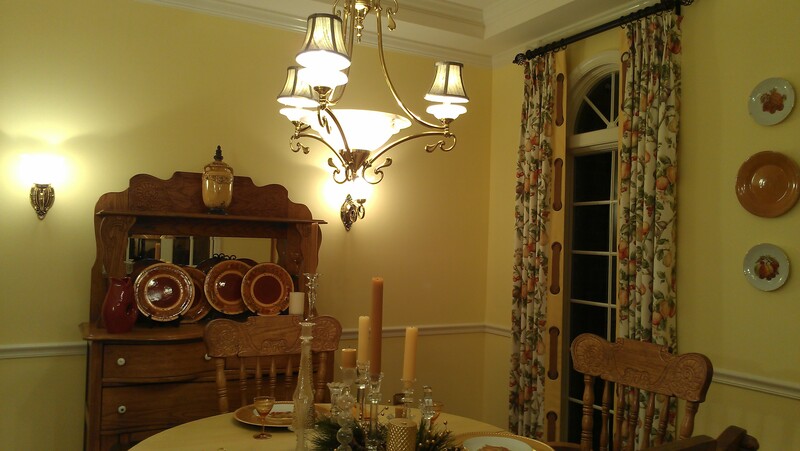 Formal, elegant, classic style, that is not trendy and will not go out of style for a long time. The treatment must help the room look larger. 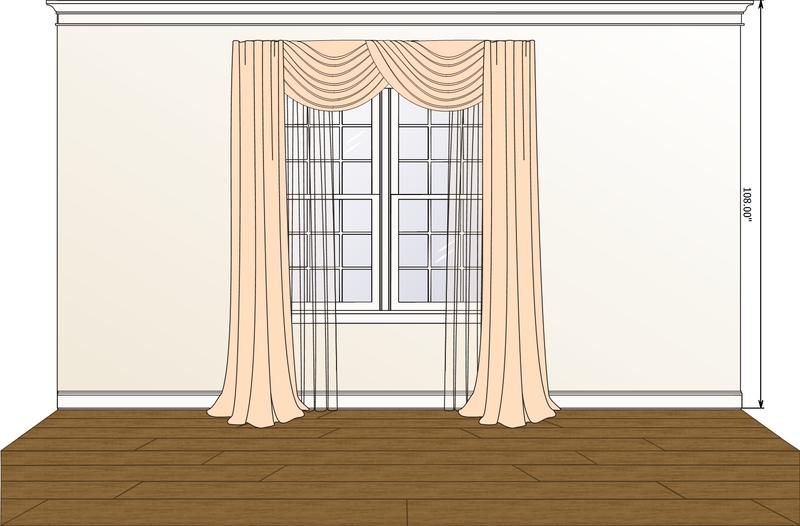 The client preferred sheers over blinds for semi privacy. The treatment must give the feel of opulence.